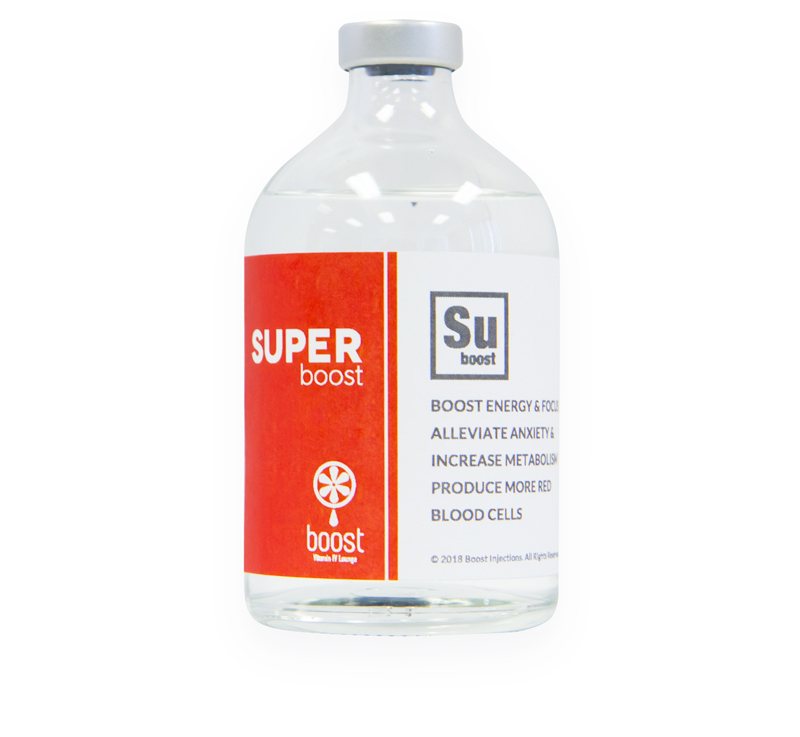 The Super B Boost is a vitamin and nutrient IM injection containing a super-sized dose of B-Complex and B12 vitamins that gives you an intense burst of energy. Helping your body convert food to fuel, it is a perfect booster following strenuous exercise, a super-demanding long week, or during your menstrual cycle. How Does the Super B Boost IM Injection Work? The Vitamin B12 that’s in our Super B Boost is one of the most common nutrient deficiencies in the world and is crucial for many metabolic and hormonal functions. Providing this boost to your body facilitates metabolic conversion to help it perform at its best.